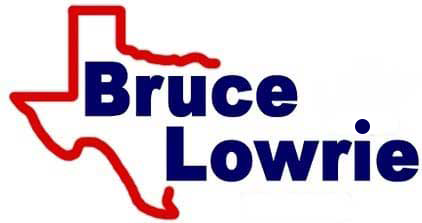 At Bruce Lowrie Chevrolet’s Collision Center, we specialize in the repair of nearly all vehicle makes and models. We perform all types of body and paint repairs, from fixing a scratch to significant collision damage. Our highly trained technicians have the skill and experience to return your vehicle to its original pre-damaged condition. We employ the latest methods of repair, and use high quality paint materials to ensure results that will last. For your peace of mind, we will warranty the materials used as well as our workmanship for as long as you own your vehicle. In the unfortunate event that you’ve been in an accident: We can help! If you decide to file an insurance claim, we can guide you through the entire process. Your insurance company may direct you straight to us, and if so, great. This will only make the repair process that much easier. If they direct you somewhere else, that’s okay too. We can use another shop or insurance adjuster’s estimate to begin the repair process. In most cases, an initial estimate is exactly that, an estimate. Your damaged vehicle will require disassembly to identify any additional hidden damages. During this process, we will work directly with the insurance company on your behalf to make sure payment for the repair has been approved. For covered repairs, your only out of pocket expense would be your deductible. Deductibles only apply if you are using your own insurance. With a few rare exceptions, there is no out of pocket expense for repairing your vehicle if the other driver’s insurance company has accepted responsibility. The types of parts used to repair your vehicle can depend on how your policy is written. In many cases, your insurance company may only cover the price of an aftermarket or alternative to original part. As a GM dealer, with a vast parts inventory, we can often use an original part for the same price as an aftermarket alternative. We have programs in place with vendors of other makes to be able to provide original parts for those makes as well.